Sustainable food security and increasing availability of plant biomass for human nutrition and bioindustries is the key challenge for the coming decades. Understanding the physiological and genetic basis of plant growth and its translation to crop improvements is vital to address the future challenges. 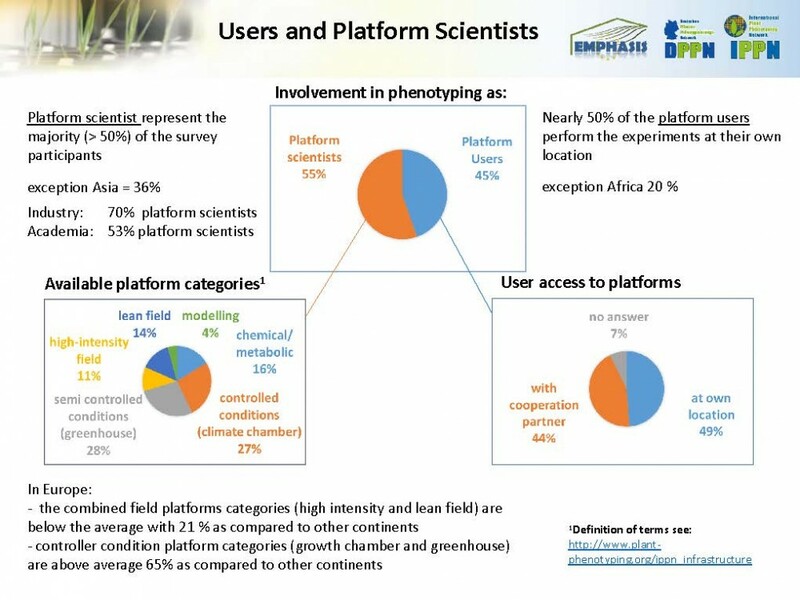 This requires concerted action to closely interact between different stakeholders to evaluate and map the demand for phenotyping, available infrastructure, to evaluate the opportunities and limitations and, to discuss strategies for the development of the plant phenotyping community. 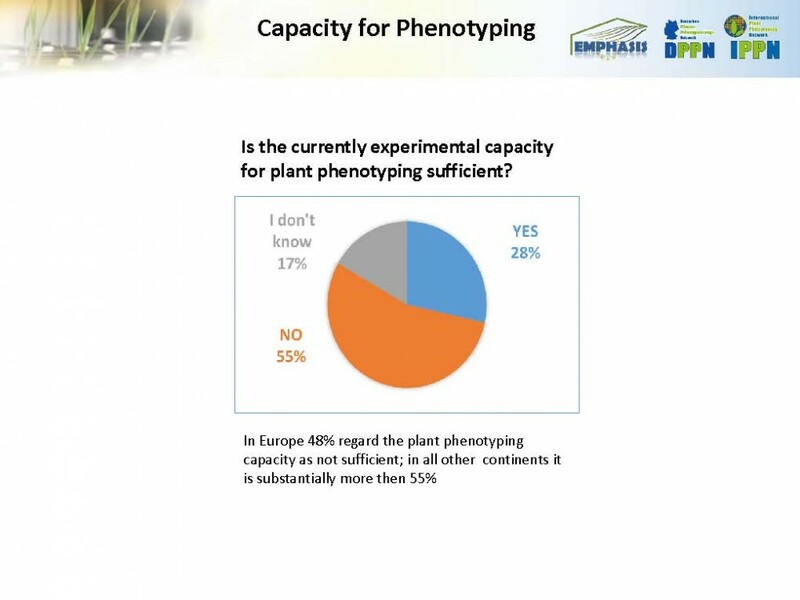 For that purpose, we initiated a survey with some basic questions related to plant phenotyping to assess the status of the emerging field. 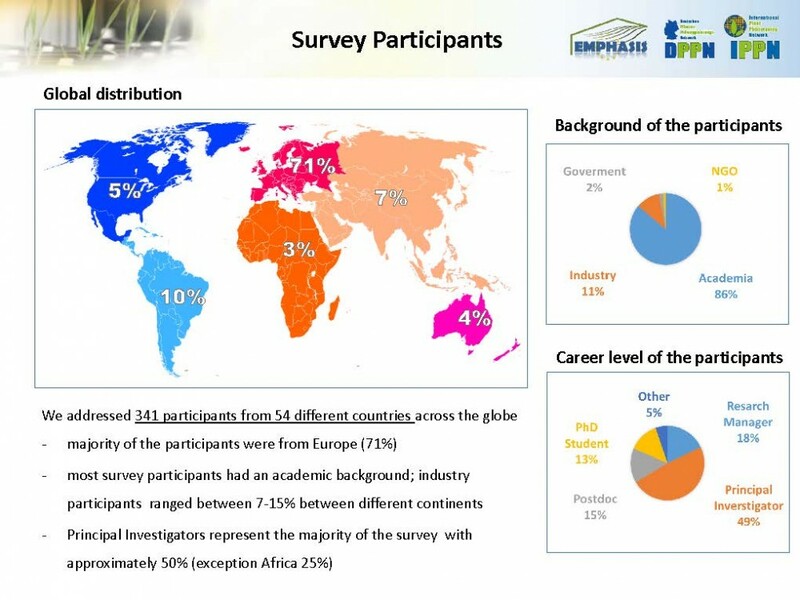 The new survey addressed participants from all continents and we try to compare the results between different continents. However, some results may not be representative because a low number of participants per continent. In summary, with this survey we addressed mostly participants with academic background. 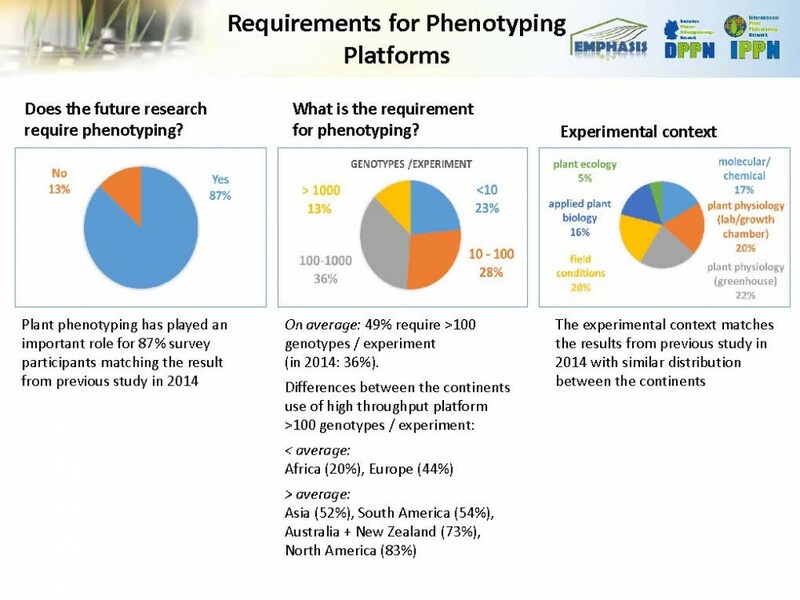 Majority of the participants will be involved in plant phenotyping in the future and the demand for high throughput phenotyping has increased substantially as compared to the 2014 survey. 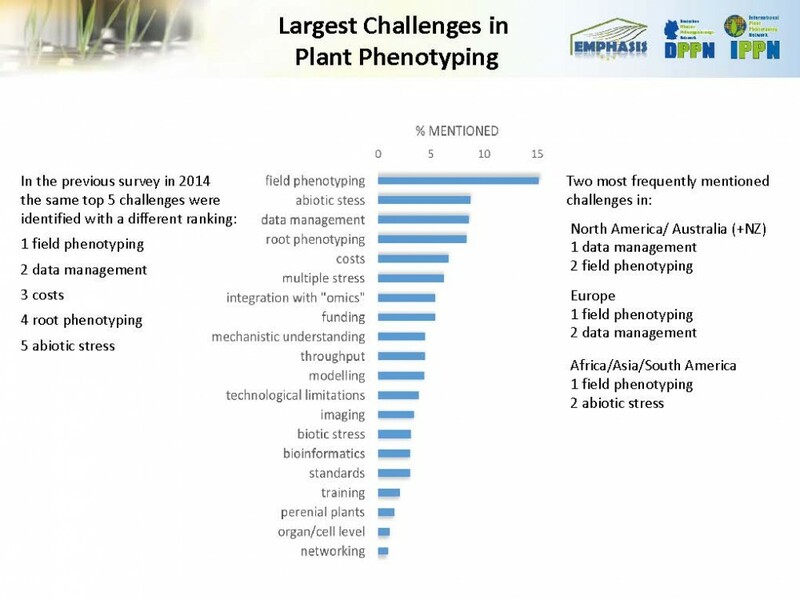 Three key challenges for future development were identified: 1) field phenotyping, 2) abiotic stress 3) data management. As in the previous study the crop of interest is wheat, followed by maize replacing Arabidopsis (2nd in 2014). 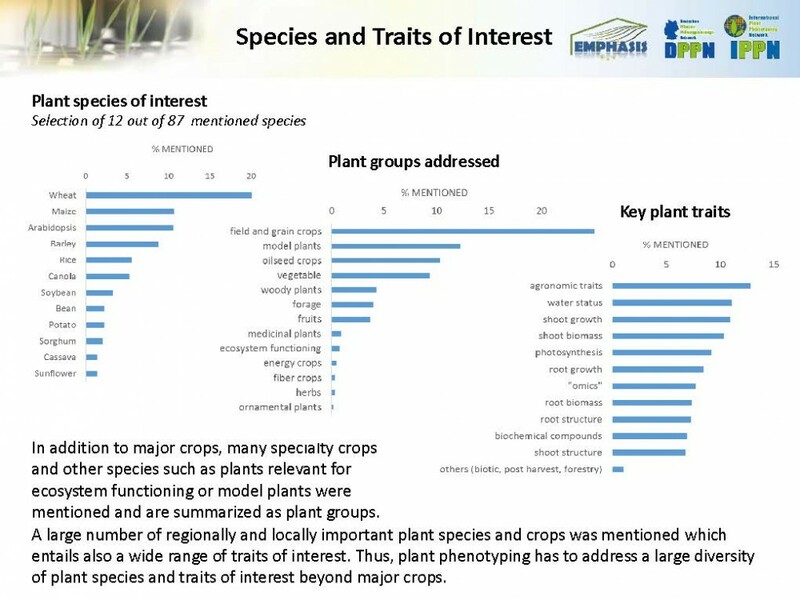 Additionally, a large number of plant species beyond major crops with regional and local importance was mentioned and many key traits indicating the large diversity plant phenotyping has to address. All data were collected and treated anonymously.